No room for a King. The raven flew majestically above the castle. It's eerie wings setting out a sinister whisper through the throne room. The king perched on his pride, gazed fearfully into the eyes of the many ravens staring back at him. 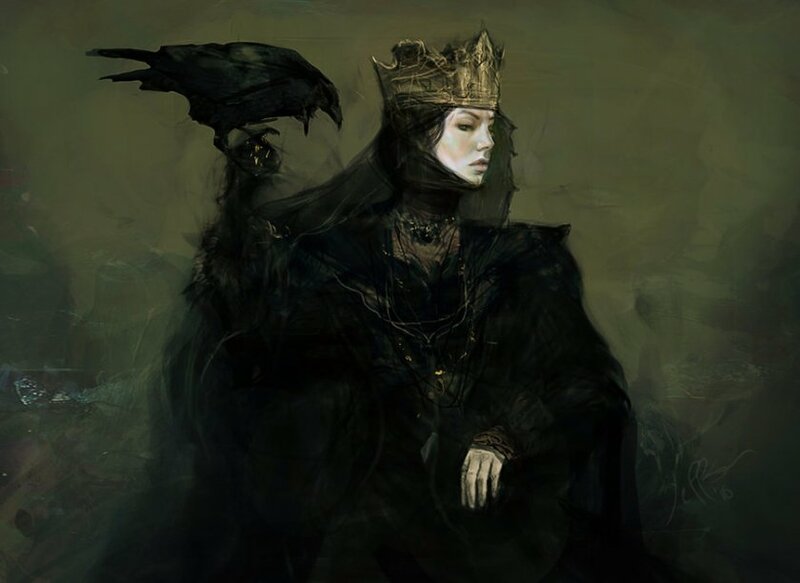 ...as the ravens peirced and impaled her husband's crown with their beaks made of knives.